Those who dream of the beauty glow of healthy flawless skin can now choose NEESYA® Skincare products which are now available at 45 selected Watsons’ stores nationwide. With premium quality active ingredients from the Europe and USA, NEESYA® offers effective and safe to use skincare at affordable prices. The NEESYA® Skincare range consists of products such as the Illuminating Essence, Brightening Gel Cleanser, Brightening Enzymatic Refiner, Age Defence Moisturiser, Brightening Overnight Mask, Spot Repair Concentrate, Brightening Day Cream SPF20 and Brightening Night Rejuvenator. The Brightening Anti-Ageing Set and Brightening Hydration Set (includes cleanser, toner, essence and moisturiser) starts only at RM169.00 per set. NEESYA® Skincare’s best-selling product is undoubtedly their Illuminating Essence, for skin radiance and brightening functions. “The Illuminating Essence has been in the market for almost three years now, and the demand for this product, which features the LumiScience® Technology by NEESYA® Skincare, has been extremely encouraging. 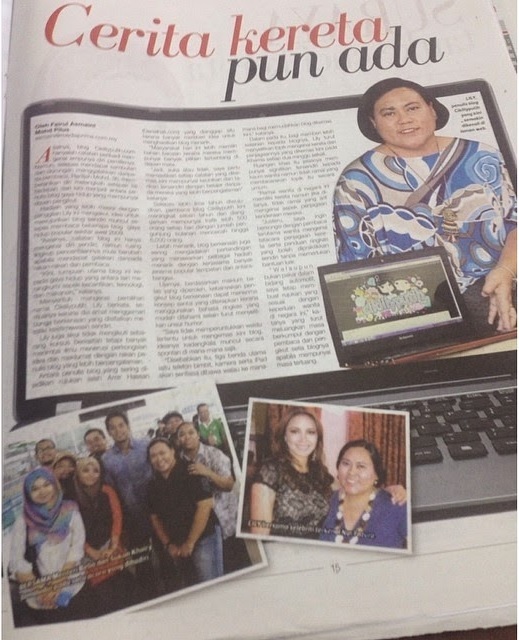 Many customers who use this product for just under a month come back so excited to see smoother, brighter and more even skin tone,” said Chris Yong, Chief Executive Officer of Skinworkz Sdn Bhd during the exclusive partnership announcement event. 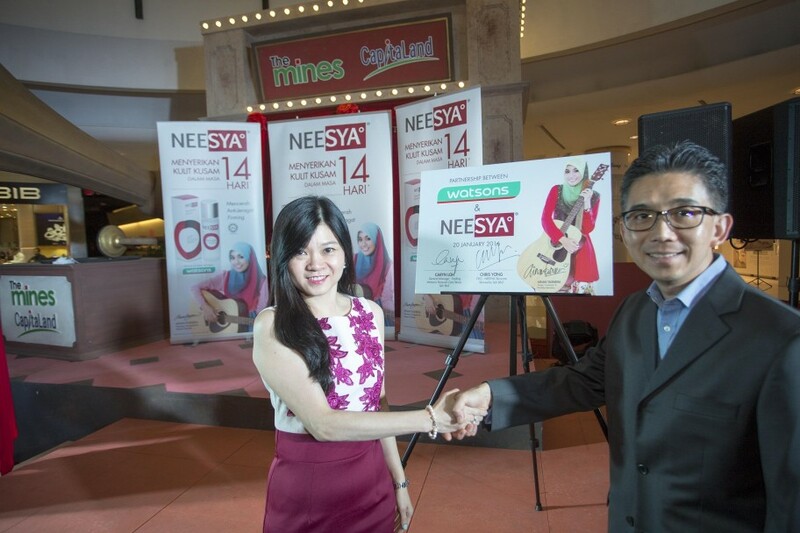 Caryn Loh, General Manager - Trading for Watsons Malaysia, similarly is expecting NEESYA® lluminating Essence to receive an overwhelming response from Watsons customers given that the early customer feedback, affordability and that it is certified Halal. “Having NEESYA® Illuminating Essence into our stores is our testament to continue to provide variation and innovation products to our valued customers,” added Caryn. 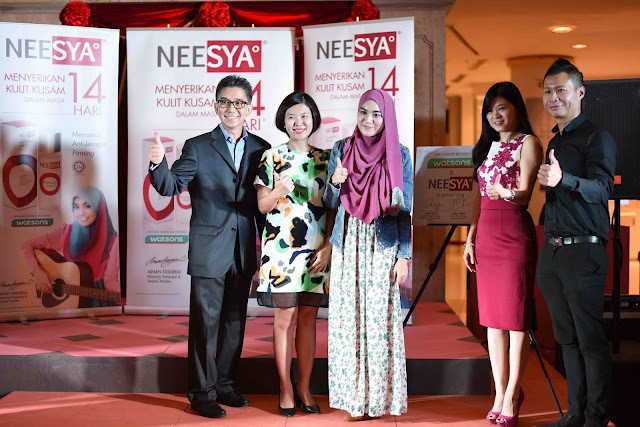 At the exclusive partnership announcement of NEESYA® at Watsons, NEESYA® also announced the appointment of brand ambassador – Ainan Tasneem, a YouTube sensation. 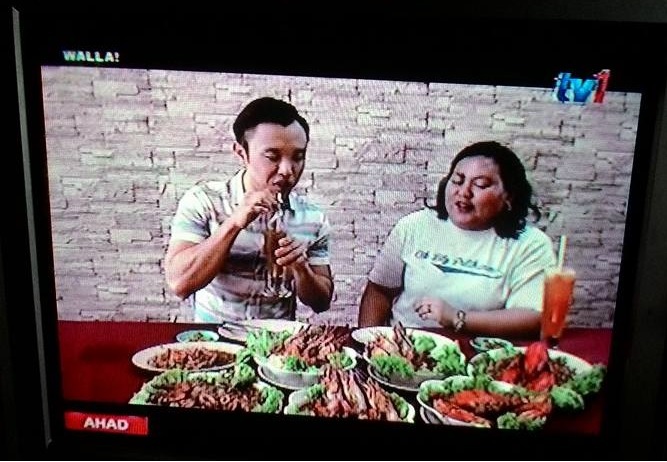 Her hit single, Aku Suka Dia, attained 8.6 million views on her YouTube channel. Ainan said, “I am honoured to be the brand ambassador of the NEESYA® Skincare brand!” An avid user of NEESYA Skincare herself, Ainan Tasneem found NEESYA® Skincare to be effective in helping her attain flawless skin and is convinced this brand can help customers in Malaysia who like to possess beautiful skin.